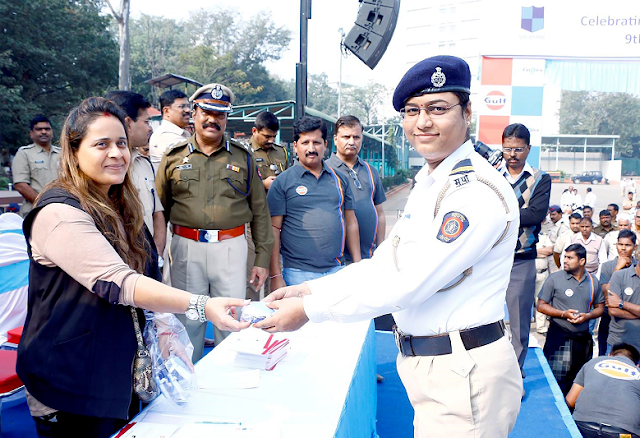 Chandigarh, 16 January 2017: In their mission to create road safety awareness and implement measures to reduce accidents, Mukul Madhav Foundation, the strategic CSR partner of Finolex Pipes, along with Gulf Oil Lubricants India Ltd (GOLIL),with the cooperation of PunePolice and Traffic Police Department, Pune,organized a 36km Road Safety Rally to commemorate ‘Road Safety Week’. The rally was flagged off by dignitaries including Ms. Rashmi Shukla, Pune Police Commissioner; Mr. Anil V Whabi, Director Finance, Finolex Pipes; and Mr. Ravi Chawla, Managing Director, GOLIL. Over 400 police officers and 200 bike enthusiasts from prominent biker groups participated and supported drive. 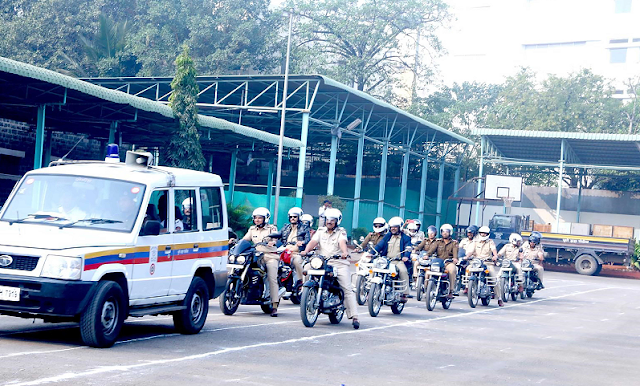 To reinforce the importance of safety gear among riders, the two companies distributed over 1600 helmets and face masks to the Pune Police officials during the rally. The volunteers and participants of the rally sensitized locals to follow traffic rules and regulations for smooth and congestion free driving experience. “As more people embrace personal mobility as the preferred means of transport, adherence of road safety is a priority for all of us. We salute the exemplary role played by the traffic police in ensuring discipline on the roads— indeed their endurance and sacrifice to keep us safe sets a precedent for all the citizens to be respectful of the rules and regulations governing the Indian roads. On this Road Safety Week, each one of us can pledge towards making India the country with the lowest road fatalities in the world”, said Mr. Ravi Chawla, Managing Director- Gulf Oil Lubricants India Ltd.
About Gulf Oil Lubricants India Ltd.
Gulf Oil Lubricants India Limited (GOLIL), part of Hinduja Group, is an established player in the Indian lubricant market. It markets a wide range of automotive and industrial lubricants, greases, 2-wheeler batteries, etc. Today, the Gulf brand is present in more than 100 countries across five continents with values of 'Quality, Endurance & Passion' as its core attributes. The Gulf Oil International Group's core business is manufacturing and marketing an extensive range consisting over 400 performance lubricants and associated products for all market segments.